PPC Protect offers an online platform click fraud detection and prevention through Google AdWords advertisers. "Stops our competitors clicking our ads, very happy!" Super easy to set up and extremely affordable. Support are absolutely fantastic and reply to any questions extremely quickly. I wish it had Bing Ads support. I did contact the support team and they mentioned it is coming at some point which sounds promising. Definitely worth using if you spend any considerable budget on AdWords. Install the tracking script using Google Tag Manager to make it easier. Our competitors were draining most of our daily advertising budgets (around £250 per day), but now they have been blocked and our ads are getting seen by potential customers again. We've seen our conversion rates increase massively and our costs per conversion reduce substantially. Regarding Bing Ads - Bing do not allow automated IP exclusions through their API as it stands, which limits the usefulness of any Bing Ads solution as you would need to manually submit each and every IP via your Bing Ads dashboard. In addition to this, they only allow 100 IPs to be blocked on each campaign. We are looking at ways around this, and if Bing ever change their approach then we will be sure to implement full support. Thank you again for being a PPC Protect customer, it's great to have you on board! "Great Technology and Service Team - but missing a couple key items"
The protection is world class. The reporting is distinguishable between clients. Their service team is really great, they help very quickly and are always available via their website chat. They even added me to their slack for a deeper issue once! You may want to use in conjunction with Clickease for Bing Ads only, and then you have a complete PPC fraud solution. Maybe Amazon will also allow programmers to do this as well someday? At the end of the day, PPC Protect is seriously a great product and highly recommended. Saves quite a lot on larger accounts, hundreds even thousands. Makes client's budgets go further. -Bing do not allow automated IP exclusions through their API as it stands, which limits the usefulness of any Bing Ads solution (as you would need to manually submit each and every IP via your Bing Ads dashboard). Since PPC Protect is focused on utilizing our automated machine learning algorithms to identify fraud within large data sets, having to manually block fraud would be a bit frustrating! -We don't currently offer automated refund requests for Google Ads accounts due to an exceptionally low success rate from Google on these, and the ability to only submit one every sixty days. On average, Google will only refund around 15% of all refund requests, and of those requests only around 12% of the actual value of the request will be refunded, meaning a claim for $10,000 of fraudulent spend would result in a monthly refund of just $90 at most. Further to that, if you submit too many "frivolous" refund requests (requests that Google deny) then they reserve the right to permanently remove the ability to claim refunds from your account - something which makes automating it a bit too risky for our liking! If either of these change in the future then we will of course look at changing our position and getting those additional features up and running :). 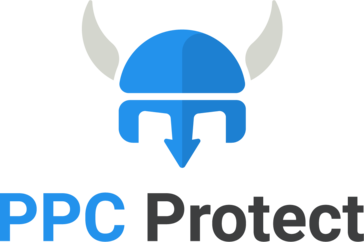 Thanks again for the great review and it is a pleasure to have you as a PPC Protect user! What Click Fraud solution do you use? "A very great software for PPC"
Super easy to set up and extremely affordable. ClickGUARD effectively detects and blocks all money wasting click fraud. ClickGUARD's click fraud protection software can stop fraudulent activity so you can focus on real customers that boost your profits and conversions. * We monitor all PPC Protect reviews to prevent fraudulent reviews and keep review quality high. We do not post reviews by company employees or direct competitors. Validated reviews require the user to submit a screenshot of the product containing their user ID, in order to verify a user is an actual user of the product. Hi there! Are you looking to implement a solution like PPC Protect?